(Susanna) I went with Daddy to the Natural History Museum today and we saw lots of animals. These moose were very big. 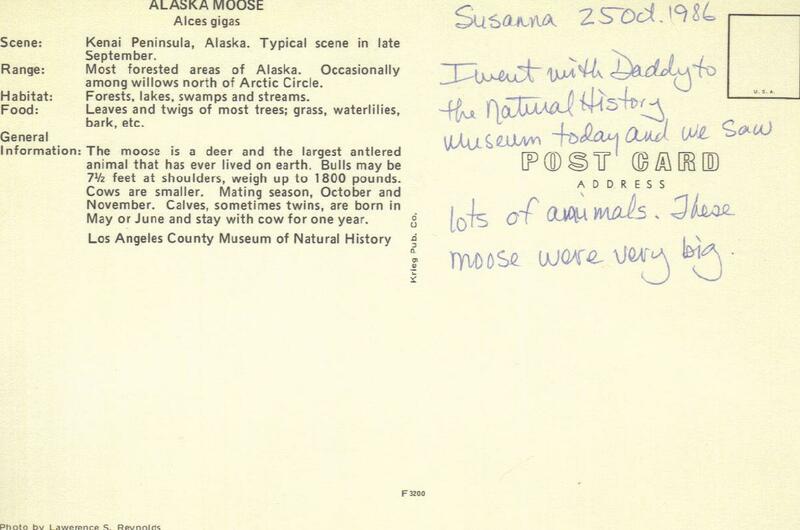 Scene: Kenai Peninsula, Alaska. Typical scene in late September. Range: Most forested areas of Alaska. Occasionally among willows north of Arctic Circle. Habitat: Forests, lakes, swamps and streams. Food: Leaves and twige of most trees; grass, waterlilies, bark, etc. 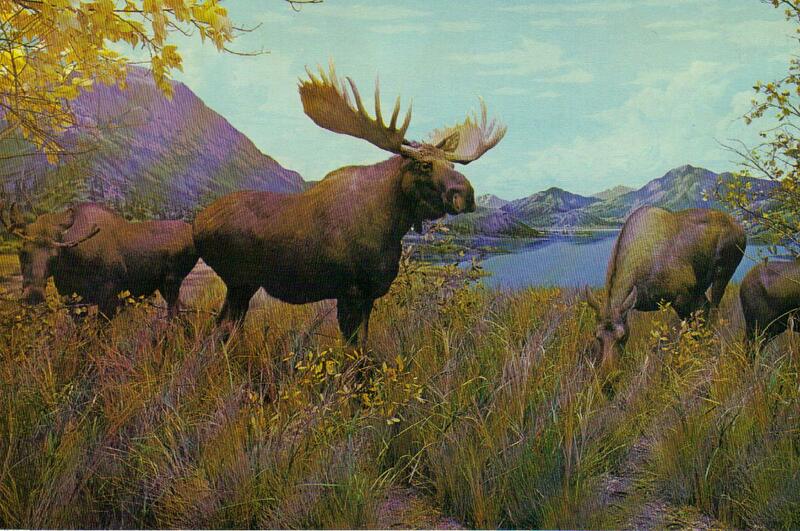 General Information: The moose is a deer and the largest antlered animal that has ever lived on earth. Bulls may be 7 1/2 feet at shoulders, weigh up to 1800 pounds. Cows are smaller. Mating season, October and November. Calves, sometimes twins, are born in May or June and stay with cow for one year. Whenever I have to type up one of these LACMNH postcards it feels like making flashcards.